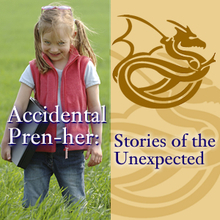 Last month, I interviewed Accidental Pren-her Pam Peyron for this month's broadcast of Stories of the Unexpected. Welcome to another episode of Accidental Pren-her Stories of the Unexpected. My name is Susan Reid, and we have as our very special guest today Pam Peyron, educator and director with USANA Health Services. Welcome, Pam, it’s great to have you today. S: Pam, let’s talk just a little bit about your journey into the entrepreneurial life. I know that at one time you were traditionally employed as a public health and home health nurse, and now you are an entrepreneur in the fast-growing wellness industry. That’s quite a journey. So tell us a little bit about this journey from traditionally employed to self-employed. First question: When did this all begin? P: First of all, I want to thank you, Susan, for this opportunity to share. When did it begin? I’ll just set the stage with a little bit about my life at the time. It was my last nursing career. I didn’t know that at the time, but I was caring for my dad. He had gotten sick about five years prior, so I had ended up back at our family ranch. It was a 5,000-acre cow/calf operation, from managing the ranch and caring for my dad. My dad’s care was actually the easiest part. So I got to step into that whole world of self-employed. What was it like to really be responsible, to make things happen. So, six years had passed from the time I began. I had gone home for a year, I thought, and now we’re six years later. My dad is still continuing on in his deterioration, and I’m just deepening into this whole world of self-employment. And I’m at this seminar where we had to go around the room and introduce ourselves at the time. So I said my name and that I’m a rancher. And at the break, several people approached me to say I was living their dream. And I remember looking at them, and I knew what they meant, but I also was aware that I was exhausted, it was seven days a week with long hours every day, besides my dad’s care – and, by now, it really wasn’t a dream. It was just a life crammed with unending decisions and worries – worries about water, weather, commodity prices, animals, land health, employees, all of these things. And I remember thinking, “You know what? There has to be something different.” But I didn’t know anything different…my people didn’t know anything different. There was a strong value around education. Fortunately, I had my degree in nursing from the University of Iowa. And I’d had these wonderful life experiences, but I’m, like, “This life did not make my people happy.” Even though they had the independence of self-employment, they weren’t jumping up for joy. They were burdened about where they were at. So I just said, “Give me some answers.” I’m a strong believer that when the student is ready, the teacher will appear, and I was led to Robert Kiyosaki’s “Rich Dad, Poor Dad” book. I devoured it, and then I read “The Cash Flow Quadrant”. And I have never been the same since. Once I understood the four methods of income generation and the motivation behind each one, I knew it was time to choose a different path. Because my upbringing had taught me to value security, benefits, independence, versus freedom, choice, systems and networks. Those are kind of new concepts, you know? I mean, you kind of know them, but what does it really mean for me? I continued on at the ranch for a couple more years. My dad eventually passed on and the ranch did sell, but in that process I began my own journey. And my mantra began. Those words of J. Paul Getty, where he said, “I’d rather have 1% of 100 people’s efforts than 100% of my own.” This whole concept of residual leveraged income – I’m, like, “I want to be an Elvis.” Do something once and make money on it, even when you’re dead! Now that’s a concept! S: It is! It’s a great concept. P: It’s a great concept. Along with reading the books, I got to playing the Cash Flow Game that Robert Kiyosaki created. I played it monthly for several years. I eventually taught, using it as a teaching tool at a community college. And my own search began with “What does it mean to create residual leveraged income?” We tend to think it’s writing a book, singing a song… How do we become mini Bill Gates? S: What a lot of variety there! P: Well, from playing the Cash Flow game, Kiyosaki sows seeds about where is that residual leveraged income. I learned a lot of it is there is tremendous capitalization required. But it was a great journey. That’s what made me content when I found what I did find, because I’d looked so long. I was eventually led in the winter of 2004 to the company, USANA Health Sciences. I had never heard of it, and I had never thought of network marketing as a viable business option. I investigated the company and it really aligned with who I am. I’ve always focused on preventative health, and what I learned from caring for my dad was that the only thing that changed as his health deteriorated was his nutrition, and how significant - Within 2 hours we could tell the difference in the mobility that he was able to do, or in his thinking process, just from nutrition. And I really began to respect the power of really optimal nutrition. Since finding USANA, because of that huge, long search, I really never looked back. And, likewise, I’ve never really had a more meaningful and satisfying life. It has been work. It has challenged me in ways I hadn’t expected. However, what I find is the work I do today really builds people and empowers them to dream and go for their dreams. So that’s my journey. S: Pam, I love your journey! And it sounds like a perfect Accidental Pren-her journey – that it starts out sort of like an accident. You know, you were taking care of your dad and then it evolved into this way and then into that way, and certain things came into your life, and finally just the perfect thing arrived that made you aware that our “accidents” are not “accidents”. They are by design. P: That is so true. Well said. S: I love that. So, Pam, before, I heard you use the statement, “People buy us and then they buy what we have to offer.” Tell our readers and our listeners what that really means. P: Well, Susan, when I went to the ranch, I had been a good employee and I had to learn business. And I got how simple business is. Business is just a three-legged stool. It has a product/service leg; it has a financial management leg, which is about cash flow, and it has a marketing leg. We tend to focus on that product or service. We want a unique service or product, we want it to be quality, which is all important. However, that’s just one of the three legs of the stool. And what seemed to be the difficult thing for people to grasp –me included – was how I had to take hold of the marketing leg. So if that’s true, how do we do that? We’ve all heard “We do business with people we know, like and trust.” So the more ways we give people to know us, like us and trust us, the more likely they are to do business with us. For example, Susan, you and I are actually on this call together because way back in the fall – several months ago now – I participated in something in a group session that you were coaching. P: Yes. Two months in a row. I was impressed with your design, the way you led the group…so then I began to follow you. I began to know, like and trust you, and now whatever you have to offer, I’m interested in. So that little saying, “People buy us and then they buy what we have to offer” – If I trace back all the valuable things that I’ve purchased or that I’m involved in, it always started with me buying someone and their values. S: That totally makes sense. And I love your three-legged stool image. I will use that with my clients and customers, because they will “get” that. And what you’re really saying is it’s about the relationships first, isn’t it? P: We focus on the product or service, which I am not minimizing in any way, shape or form. But a one-legged stool just doesn’t work. S: No, it doesn’t. And once a relationship is established, which is just what you said, then comes trust. And, then, anything else that that person is offering becomes easy to buy. 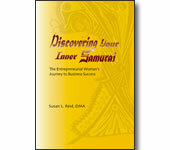 S: Well, now, the really cool thing about where you are in your journey as an entrepreneurial woman is that you’ve now created a brand new interactive website and blog for rural entrepreneurs at www.ruralentrepreneurs.com . I love that site! And I love the little handwritten card you sent saying, “Hey, we’d really love to have you come visit.” That really got my attention. So, of course, I knew who you were and the relationship that we had built, so I just went right away to your website and I just loved it. Tell me a little bit about this site, and what was the inspiration behind it. P: Well, I’m three years into my journey with USANA and, once again, we’re back to the three-legged stool. How do I extend my marketing arm? Now, I’d been hearing a lot about online, and oh my goodness, you can just turn over in your bed and make a million dollars…and I just couldn’t seem to find a way to enter. Yet, I had this idea. I knew the value of a website. I also had the technological lack of skills, my almost dreaded fear of how I would do that through my friend’s frustration about having a website but not being able to get a hold of web managers to correct things or update things. Once again, I kept asking, “How can I find a vehicle, a model, so that I can extend myself and give others a way to buy me, to know me and like me and trust me more?” My inspiration came one night in a dream. Actually, this was last fall, also several months ago. I had listened to a webcast earlier in the day about the value of blogging as a marketing option. I thought, what a concept! So in my dream the name came. “Voices of Rural Entrepreneurs” was what I thought of first because I have this love affair with rural America. I can live anywhere, however, my preference is always a more sparsely settled landscape. I like a little space. P: Okay! So I believe there are people who would choose a rural lifestyle if they had the opportunity. However, they feel some kind of constraint in their mind or by just the way they think, in their earning possibilities. There are many others who are alive and well in rural America. They’re, like, “That’s just where I’m going to be, and I’m going to make this happen!” You find many of them in unlikely places doing amazing things. So that’s really where this blog/website came to be: www.ruralentrepreneurs.com . It is my first visible piece of a larger unfolding. It actually was launched just about 45 days ago. S: My heavens! That is new! One of the things I liked and noticed about your website/blog is that you have a marvelous mix and variety of resources, tips and ruminations. And I just loved that. It was so esthetically beautiful and also interesting. So tell us how you came up with that mix. P: What’s the saying? “Necessity is the mother of invention”? I got clear that I wanted to do this blog, then I was guided to a class. Once again, I bought a lady. I had heard of a lady, had heard her speak on a webcast. Jeanette Cates is her name. She came out in late April about a class she was offering online, “Success Basics”. In eight modules over a month’s time, she guaranteed many things, and I thought, “You know what? The month of May is going to pass anyway, so I’m going to challenge myself to commit to this on May 1st and see what happens by May 31st.” If it is a total disaster, I didn’t tell a soul. I didn’t tell anybody. I just went to class, or attended a class meeting at home. So I started. By Day 7, we did have a website blog up, which was phenomenal to me. In seven days. Then, that night when she closes out, she says, “You’re to blog every day.” And I’m, like, “Oh, yeah? About what?” She would kind of coach us, but you know how it is. You’ve got to find your voice. I’d hear the words that she’d say, “You could blog about this.” About a week into it – and, Susan, this comes back to you – I got your eZine that you send out every two weeks. So I’m scrolling through, because it says I can do it in 10 minutes and that’s what I give myself. So I scrolled down and saw that Mondays you share this and Tuesdays you focus on that…and I go, “What a concept!” And just like that my mind goes “Seven days! I’ll come up with seven topics.” Every Sunday I change my email quote in my signature. I have for years. I’ve just done that. Sundays I’ll do a quote. And it was amazing, Susan, what came. It’s, like, well, I just love business. I’ve found my home in business. Actually, going to the ranch was a great gift because I might have been a good employee the rest of my life. And even though the ranch was stressful, it taught me business and I loved it. So Mondays I do a business tip, Tuesdays I focus on a rural entrepreneur… The fun part of blogging is it can be whatever you want. P: Nobody’s governing it, you can do what you want, what gives you juice. But I do focus on a rural entrepreneur, so I tell a story. Wednesdays I do a health tip. That way, I focus on something around USANA. Thursdays my focus is trends. For whatever reason, I love trends – all kinds of trends. Fridays my focus is on a recommendation. That can be a book, a magazine, something I’d like to refer people to because I feel like as I recommend things, people either resonate with it or they don’t, but they can find out if they know, like and trust me more. Like, “Oh, I like what she recommends.” Saturday is kind of like my free day, so I let my focus be really loose and do just kind of a human interest story possibly…but whatever I want so I don’t overly fret about that. I came up with those, and I found it to be very easy to do. S: Especially because you’ve laid them out so clearly with clear purpose, clear niche ideas of who you want to serve on each of those days. And that’s what makes your website fresh. It’s changing every day, and yet it’s changing within the same categories which keeps us all interested. P: Thank you. I appreciate that feedback. S: What quality or characteristic is most important to you? P: Connection. Connection of ideas, people, groups. P: I found that a strong word, but…Ignorance. Lack of curiosity. S: And the last question: What’s the most precious thing you’ve learned along the journey from Accidental Pren-her to Entrepreneurial Woman? P: I’ve learned that a Mastermind is powerful. We can’t do it alone, and it’s so much fun to do it together. I have been in a weekly Mastermind ever since I began my USANA journey, and it has probably been the most powerful asset in moving my life and business forward. S: Well, Pam, I certainly agree with that. It’s nice to have other people’s minds to help with the process. S: Well, Pam, thank you so much again for your time. It’s been such a pleasure to have you on as a guest for the Accident Pren-her show. Right before we sign off, tell our readers and listeners how they can get in touch with you if they want to talk with you or see your products or get to know you in a relationship. P: Great! I’d like to invite everyone to www.ruralentrepreneurs.com , and on there you can join me and let me know where you’re at, and we’ll be able to keep in touch. That’s a great way to get in touch with me. S: Sounds like the perfect way. So, everybody head over to Pam’s brand new website and blog and see the wonderful seven day variety that she has at www.ruralentrepreneurs.com . And that’s it for today’s episode of the Accidental Pren-her. What a great gift you've given me today Susan for starting my week! We recorded this a few weeks ago now and listening to it brought inspiration to my heart to make this an inspired and meaningful day and week! You are a great interviewer. I am grateful and blessed! Pam - I, too, enjoyed listening to it again, just the other day. We really did a nice job together, didn't we ;) Hugs and great success to you! Rayna - Yes, it was Pam's inspirational qualities that attracted me to her when we first met. I am glad you found this podcast to be helpful and valuable. Thanks for stopping by! Susan! You are out there on the leading edge, figuring out all the coolest things for your clients to use in promoting their own businesses. Well done! Thank you, Dana! I really like building community. A couple of months ago, I read Keith Ferrazzi's book, "Never Eat Alone." That book had a big impact on me and the way I thought about community. It's all about giving to give! This was just a thrilling podcast to listen to! Thank you, Susan, for opening our minds and hearts to so many connections and rich resources! You are more than welcome, Dana C! I am sure that Pam is going to enjoy reading your comment and knowing how much you enjoyed it. Thanks for stopping by and connecting in! I am just in the middle of reading "The Tipping Point." Really interesting, isn't it, how he talks about the people in our lives and how some just naturally connect us with others?